Thanks for arriving onto this page to access your gift. We believe that the best gift to offer our audiences is perhaps more knowledge and how-to's in the areas of relationships - something intangible and yet which will enrich lives!! What Men or Women Should NOT Do if They Want the Relationship to Last? Marry First and Date Later? 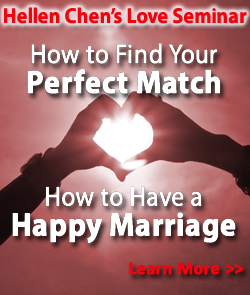 This is an exclusive interview with Matchmaker Chen where she shares the common problems that men and women are facing in their relationships. For those who would like to change their relationships and improve upon it. 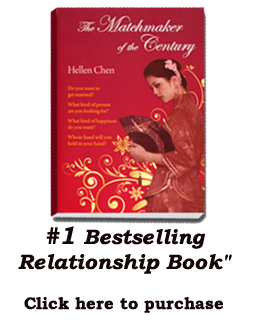 We highly highly recommend Ms Hellen Chen's Love Workshop.